HAIRPRINT does not work nor should it ever be applied to naturally (or dyed) blonde, strawberry blonde, red, auburn, or brown hair with natural red tones. We will continue to research into developing HAIRPRINT Colour Restorer solutions for these natural hair colours. Hair compromised by chemicals needs protection before applying HAIRPRINT. To transition from (previously) chemically treated hair to HAIRPRINT, we would advise that your new hair growth is as substantial as 2cm in length. If your new growth is not as significant as what would be ideal, stretch it as far as you can. We have had satisfactory results on smaller regrowth’s, especially on the finer hair types. Before using the HAIRPRINT Colour Restorer kit, cleanse the hair with our cleanser shampoo range. This range has been designed to remove all the blockers that coat your hair and scalp. The ideal cleansing shampoo depends on what daily products you have been using, the condition of your scalp, and the state of the water used to wash your hair i.e. is it chemically laden? Below is a list of our cleanser shampoos that will help you identify which one is ideal for you. 1.Clarifying Shampoo – Removes build-up from the hair. 2.Exfoliating Shampoo – Removes impurities and dry skin cells that block the follicles and cuticles. 3.Chelating Shampoo – Removes minerals from hard water and chlorine deposits. We recommend you begin using the cleansing shampoos at least 24 – 48 hours before using HAIRPRINT Colour Restorer treatment. In doing this, you will remove any residue and build-up, detoxing the hair and scalp, readying it for HAIRPRINT. If you have hard water, begin your treatment process with our Chelating Shampoo, which works as a clarifying shampoo, chelator, mineral and oxidizer remover in one. On application day, wash your select hair with the Chelating Shampoos before you begin the full HAIRPRINT Colour Restorer application process. Wet hair and shampoo with the whole sachet in the kit, unless your hair is very short or incredibly fine. Allow the shampoo to work through your hair for at least 5 – 30 minutes. Towel dry hair well on the ends that need protecting. To protect the previously chemically treated hair, use real butter (coconut or shea butter). 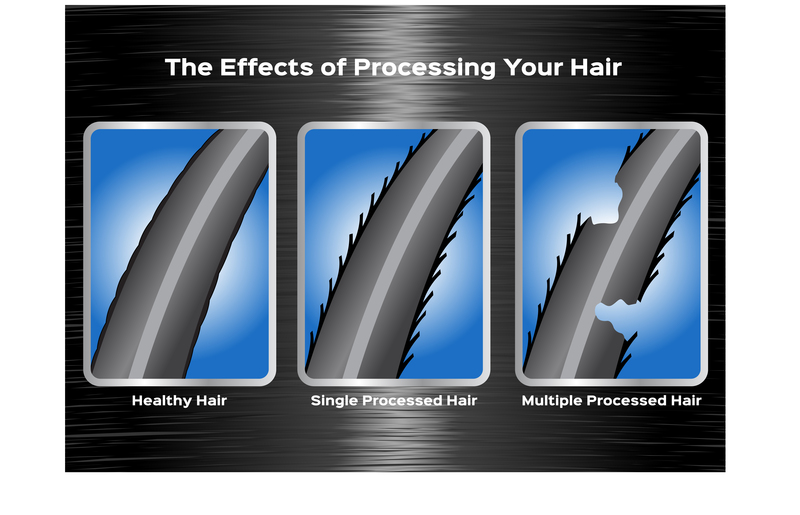 Once melted or softened enough to apply, work through the hair you are protecting. This coating will not rinse off during the 3 step application of the kit. AVOID OILS. If the area or colour line from where you need to protect is not visible wet, gently dry with a hand held dryer. Once the oils are applied, use a water spray dampen the root area again. Applying to dry hair is not advised it will cause you to use more product than you need. Follow the standard application for the roots from Step 1. 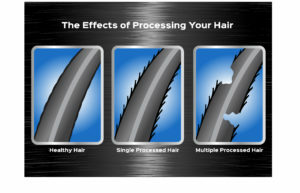 Once the all three stages have completed, thoroughly rinse then Shampoo and Condition to finish the process. The protected ends might feel heavy from the butter. If this is the case apply shampoo to dry hair the next time you wash.